Fancy doing fitness but want something different to going to the local gym? Then Choi Kwang Do is the answer for you. 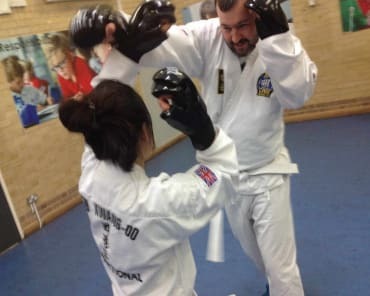 It's a fun, fitness based martial arts programme packed with plenty of rewarding techniques to keep you motivated throughout your training sessions with us. We are currently running 3 evening and 1 Saturday daytime class for Adults at Stanley Primary School in Teddington. Our adult Self-Defence classes are for both men and women to learn effective martial arts training to deal with real life self defence situations. Your training will concentrate on fitness, flexibility and learning fighting techniques to deal with potential attackers. We also cover close range attack scenarios in every class to deal with grabs, strangulation and potential abduction based attacks. Don't be a victim, be prepared! 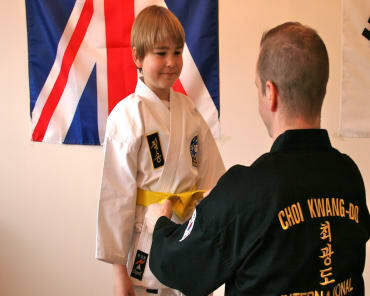 Come for a Free trial class at our Teddington based school also for residents of Twickenham, Whitton, Hampton and Hampton Hill area.